Bulawayo based restoration political organization Mthwakazi Republic party (MRP) has alleged that teachers of Shona ethnic group are being secretly hired at the Bulawayo Post Office barely a week after The Ministry of Primary and Secondary Education said the teachers were wrongly deployed and were now being recalled to be redeployed elsewhere. We have just received information that the teachers from outside the region are being employed secretly now at the Post Office. 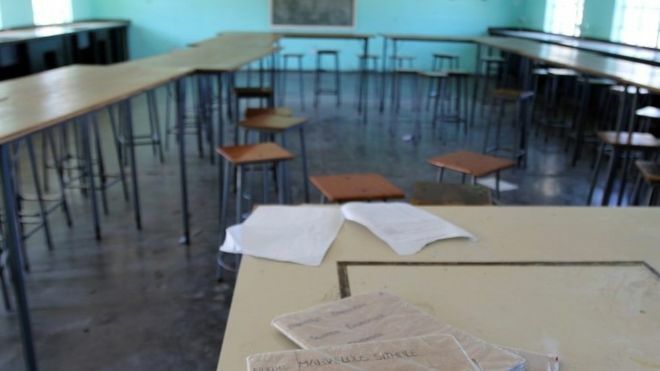 It is rumoured that the reversal by the Ministry of Primary and Secondary Education was just a fake meant to suppress the anger of the people of Bulawayo. We encourage Bulawayo Civic organisations to rush to the Bulawayo Post Office and get clarity on what is happening. We also urge school Development Committees to resist the deployment of such teachers in their schools. The deployment of the teachers had irked a number of organizations and parents who considered the act unthinkable. Progressive Teachers union Secretary General Raymond Majongwe was quoted by the media saying, "This mammoth responsibility cannot be left to five people sitting in an office at PSC, and to avoid such things government should involve stakeholders such that those with qualifications are selected properly. "The coincidence that there are 90 per cent Shona names raises eyebrows even when we know there are several who are born there. What of the Nambya, Tonga, Venda, Kalanga and Sotho names? Some who were there on the first list?"